NATURE COAST FRIENDS OF BLUES. The Nature Coast Friends of Blues, Inc., as a 501 (c) 3 non-profit charity, will protect the integrity of the annual Blues ‘n Bar-B- Que, we will give back to the community by annually naming a beneficiary of the Blues’n Bar-B-Que, and we will preserve and emphasize the rich history of the Blues through other live music events, educational endeavors and museum exhibits. The Nature Coast Friends of Blues, Inc. formed in 2007 after Jim Anderson, owner of the Olde Mill House Gallery and Printing Museum and event organizer of the Blues ‘n Bar-B-Que called it quits. First time attendee Susan Mitchell saw the need to keep this event alive so, after a few phone calls Jim set up an impromptu Saturday blues jam session in the Garden behind the Museum Café. By that afternoon, a group of volunteers signed up to help get the association off the ground. Local attorney, John Clardy helped us get our non-profit corporation status. Our success in 2007 allowed us to donate $500 to the Key Training Center and a group of our volunteers provided help for their main fundraiser, “Run for the Money” in 2008. In 2009, we donated $1000 to the Boys & Girls Clubs of Citrus County and in 2010; our first Annual TEENSTOCK generated $700 for Big Brothers Big Sisters. In addition, in 2010, we earned our 501 (c) 3 non-profit status. Following the 2010 Blues’n Bar-B-Que, we donated $1000 to Camp E Nini Hassee in Floral City. Our 2011 beneficiary for Blues’n Bar-B-Que is Hospice’s Camp Good Hope/Teen Encounter for children dealing with the loss of a loved family member or friend. · Live Music Series – held on the third Saturday of the month January - June bringing musical talent from several musical genres including blues. · TEENSTOCK – held each spring to give the stage to the teenage talent in Citrus County who want to raise money for Big Brothers Big Sisters annually. 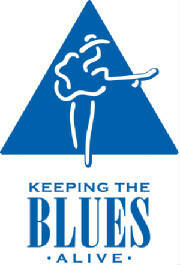 All donations to the Nature Coast Friends of Blues, Inc. are tax deductible. A COPY OF THE OFFICIAL REGISTRATION AND FINANCIAL INFORMATION MAY BE OBTAINED FROM THE DIVISION OF CONSUMER SERVICES BY CALLING TOLL-FREE (800-435-7352) WITH IN THE STATE. REGISTRATION DOES NOT IMPLY ENDORSEMENT, APPROVAL, OR RECOMMENDATION BY THE STATE. We are a proud member of the Citrus County Chamber of Commerce. Joining this organization allows us to stand out stronger in the community, and grow because of the Chamber's support.